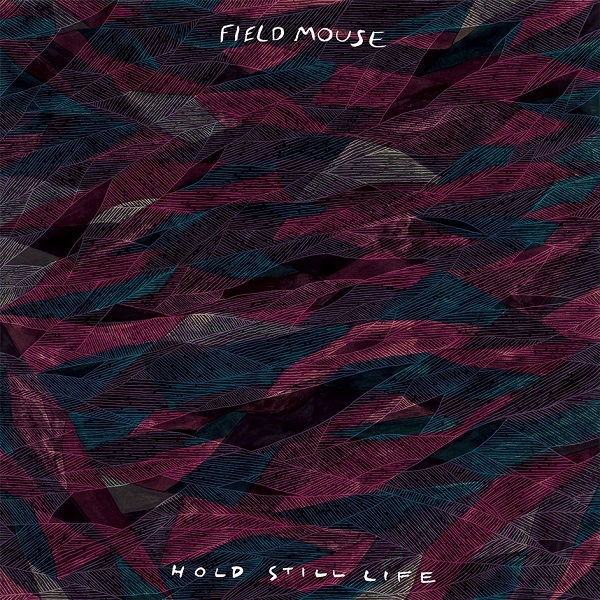 As an album title, Hold Still Life feels strangely at odds with the energetic, aggressively progressive shoegaze sound of Brooklyn’s Field Mouse. There’s little to suggest a lack of motion in this, an album packed full of fragile vocals, pulsating bass lines, and harsh, jagged edges. Musically, it’s a fantastically diverse album that treads the line between shaking things up and losing direction with consummate ease. Opener ‘A Place You Return to in a Dream’ is strangely hellish in its ever-present feedback, in the siren-like riffs that punctuate lead singer Rachel Browne’s powerfully feminine voice, and in the terrifying sudden halt that the song comes to. However, following track ‘Tomorrow is Yesterday’ sheds this nightmarish sound for one that oozes 90s grunge-pop sensibilities. Sounding like a cross between The Pixies and Sleater Kinney (thanks in part to some cracking drumming from Tim McCoy), its irresistibly pop-influenced melody and chugging, overdriven guitars are alt-rock heaven. Hold Still Life isn’t all distortion and angst, however. Okay, it is mostly angst, but that doesn’t stop the songs showing the musical range the band are capable of. ‘Two Ships’ has a stripped-back, 80s electronica vibe, hinting towards the likes of The Pet Shop Boys, while ‘Reina’ hints at how Feeder might have sounded in 2014 if they didn’t go soft on us. The sprightly guitar riff that open ‘Netsuke’ reels you in with ease, following it up with a chorus whose pre-emptive nostalgia is backed up by a brilliantly satisfying chord change. Towards the end, however, the album seems to loses impetus. ‘Bright Lights’ is an inoffensive inclusion, but comes off as bland in comparison to the pace and vitality of the preceding tracks. ‘Kids’, while lyrically one of the best on the album, feels like the same kind of thing that Big Deal were doing back in 2011. Final track ‘Water in the Valley’ has some interesting quiet/loud dynamics that pull it back from the brink however, and leaves the album on something of a riotous high. Whatever its few shortcomings, it’s an impressive debut from this New York quartet. The album’s juddering guitars, unforgiving rhythms and emotional rawness make for an intoxicating combination, and having nailed the zeitgeist dream-pop/shoegaze sound, there’s no reason Hold Still Life shouldn’t stop a few people in their tracks. Hold Still Life is released on 22nd July via Topshelf Records.